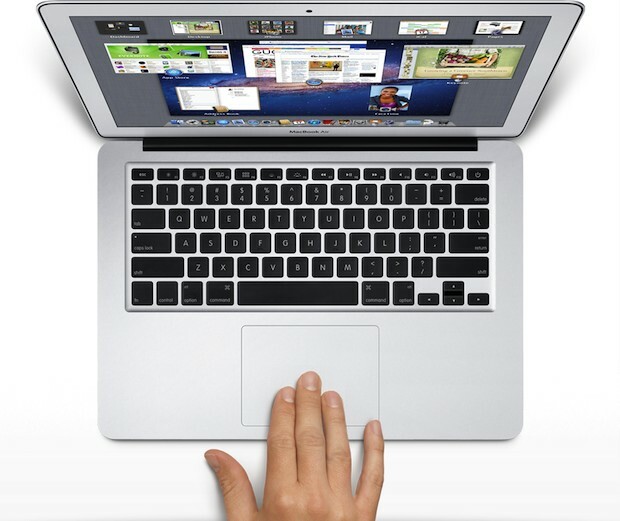 Know any other helpful multitouch gestures for Mac OS X or popular Mac apps? Let us know in the comments. Drag Windows – Three finger hold and drag over window bar..
what do u mean by this??? i don’t get it.. and want to try it out..
Frustratingly, by doing this you do get 3 finger hold and drag ability over a window bar, but you automatically lose the ability to go back/forwards in finder, which previously used the 3 finger swipe gesture. Safari gets around this by providing the alternative back/forwards between pages by way of scrolling with 2 fingers left/right. But in Finder, scrolling is needed up/down and left/right on the current window, so scrolling left/right will not take you back/forwards. Shame its either one or the other with the UI design as I like both the 3 finger drag of the windows, but also like the ability to move back and forwards in the finder window without moving my hand off the trackpad. If anyone has any solutions/suggestions please let me know! You can go back and forth in Finder windows too with 3 finger swipes left and right, but only if you don’t have desktop switching enabled. Could be a Snow Leopard thing. thanks! this was very useful for a newbie like me. I do not know about mac ox… Can any body tell me how to change it to window 7? mac ox? is apple producing beasts of burden now? Switch between desktops need 4 fingers, not 3. By default is 3. When you enabled drag with 3 fingers. It changed to 4 then. Google “BetterTouchTool.” Then you can really go to town. And it’s free. +1 on this! BTT allows you to customise all your finger gestures (and has even more than normal), for example I have it set up so that in chrome keeping one finger on the pad and tapping with another goes back whilst 3 fingers move between tabs. Cheers. Do you know if they are bringing back gestures to go back and forward in between finder windows (and the App store)? I can’t believe they go rid of that. WHY??? You can change the 2 finger page back/forward back to a three finger gesture then you will able to going back/forward pages in Finder and the App store again. Cheers. In System Preferences, click on Trackpad. Once there, you’ll see looping videos of how each gesture works. 3-finger swipe up/down: change conversations in Skype.